The adorable gingerbread man is from the Cookie Cutter stamp set and cut out with the matching Cookie Cutter punch. Love this Z-fold card that I got from Diana Langman, from Hamilton, at a demonstrator swap. 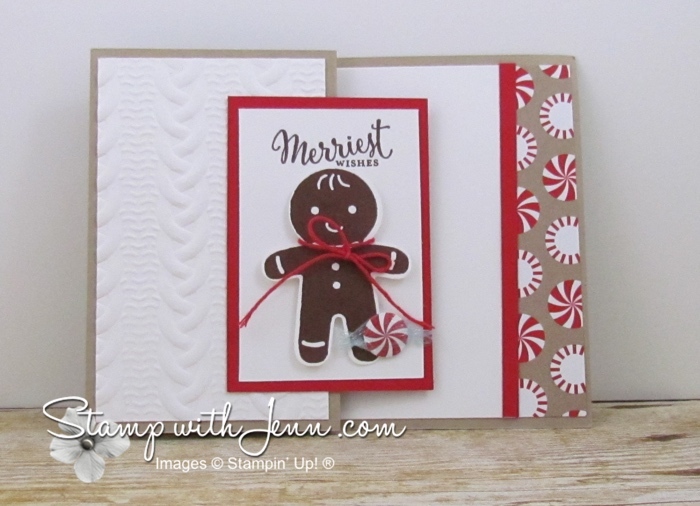 The designer paper is the Candy Cane Designer paper that is part of the October Designer Paper special (see the special here). Love how Diane wrapped one of the candies in saran wrap for an adorable little accent. 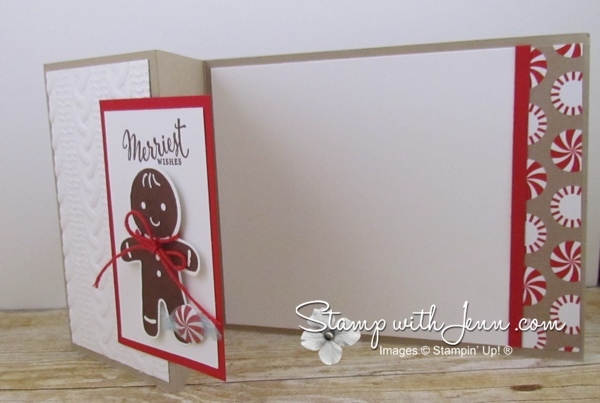 Another fun accent on this card is the sweater embossing folder on the front of the card. See some other posts using the Cookie Cutter bundle here and here.